People turned to eBay in key moments throughout the year to make a difference and rally behind important causes in 2018. 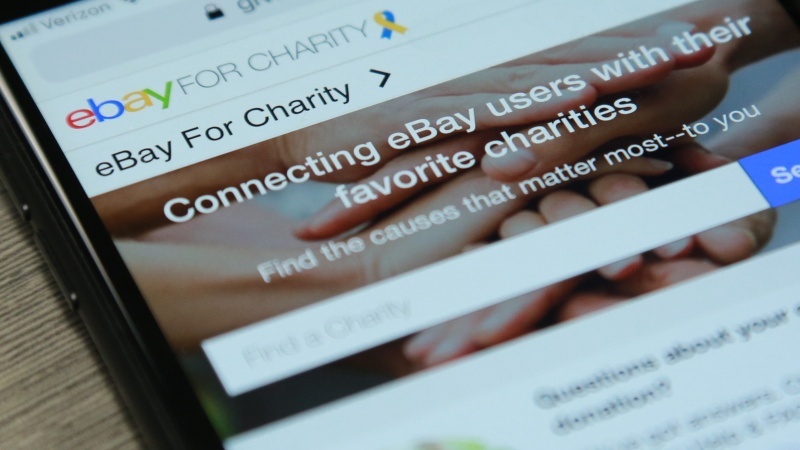 From helping the victims of the California wildfires to supporting the battle against cancer, to celebrating Pride Month around the world, eBay for Charity connected buyers and sellers to the causes they care about most. By activating its millions of everyday consumers, sellers and partnering with some of the most influential celebrities and charities, eBay leveraged the power of its entire community to make its biggest impact to date with a goal of raising $1 Billion for charity by 2020. Supporting Veterans: The 2nd Annual Veterans Day Celebrity Auction with Kenny Chesney, Ben Stiller, and Jake Tapper raised $160,000 for Homes for Our Troops, which provides support for severely injured post - 9/11 Veterans. Activating eBay’s Global Seller Community: Charities big and small from around the world benefited from sellers who chose to donate a percentage of their sales and buyers who gave at checkout. To learn more, visit eBayInc.com/Impact/eBay-for-charity/.